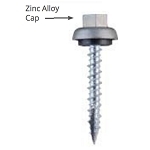 1214114SDBW #12 x 1 1/4"
1214112SDBW #12 x 1 1/2"
1214212SDBW #12 x 2 1/2"
The Metalgrip Self Drilling roofing screw is manufactured for fastening metal roofs to metal buildings. 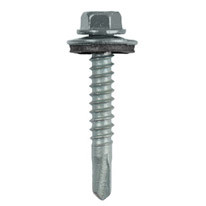 It is a #12 screw with 14 threads per inch. Galvanized EPDM washer 5/8" O.D.